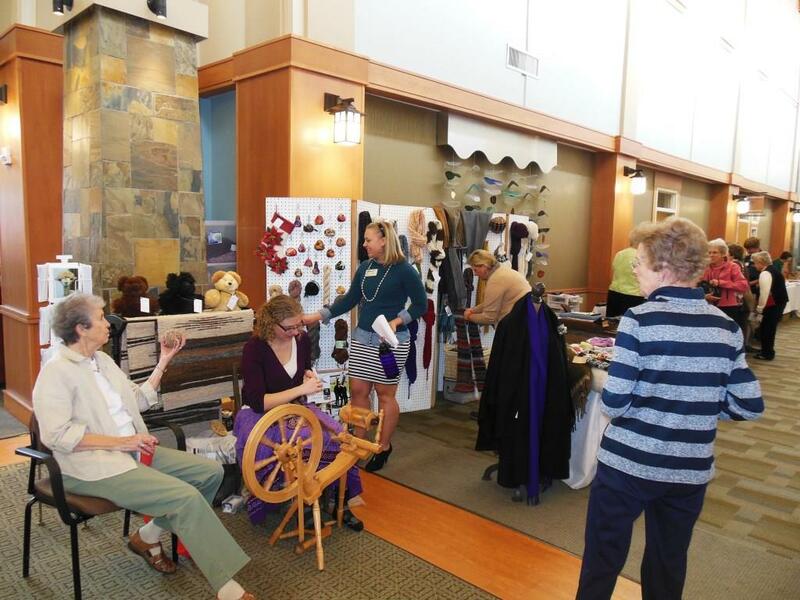 Last Tuesday, Cliff House Alpacas was invited to participate in a Holiday Bazaar at the Holly Creek Retirement Community from 11:00 a.m. until 2:00 p.m. I, Momma, thought you might enjoy seeing some photos of the event. It’s just about Showtime! Our friend, Lois Burnett, is next to Kirstin & April Henderson, the Bazaar’s organizer, is in the background to Kirstin’s left. 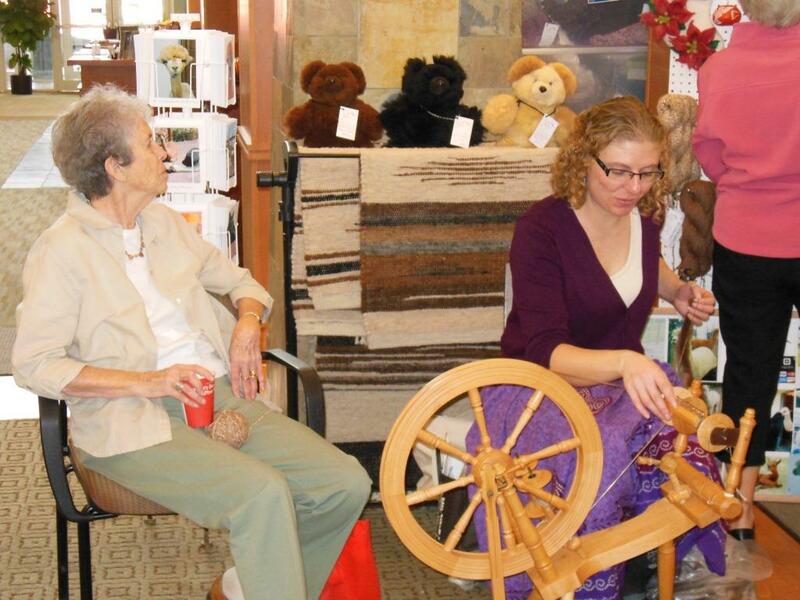 Kirstin is at the spinning wheel. April gave us plenty of space to set up our wares. 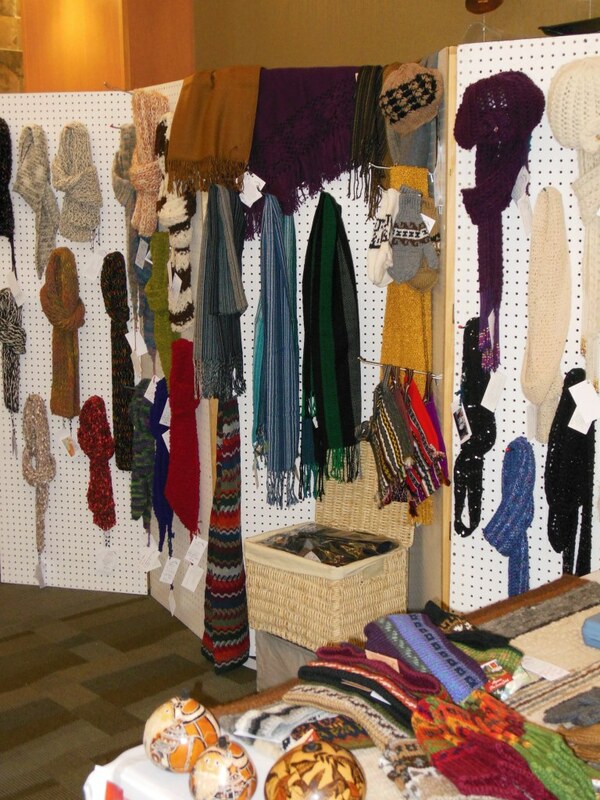 Lois, a resident at Holly Creek, is an ardent supporter of Cliff House Alpacas. Our family wants to thank you for your friendship & hospitality, Lois. Kirstin & Lois spent the day promoting alpacas, and they both had a good time while visiting with Holly Creek’s residents and staff. Momma, Kirstin & Lois enjoy each other while setting up. Dad was there the entire time, he’s the one behind the camera. 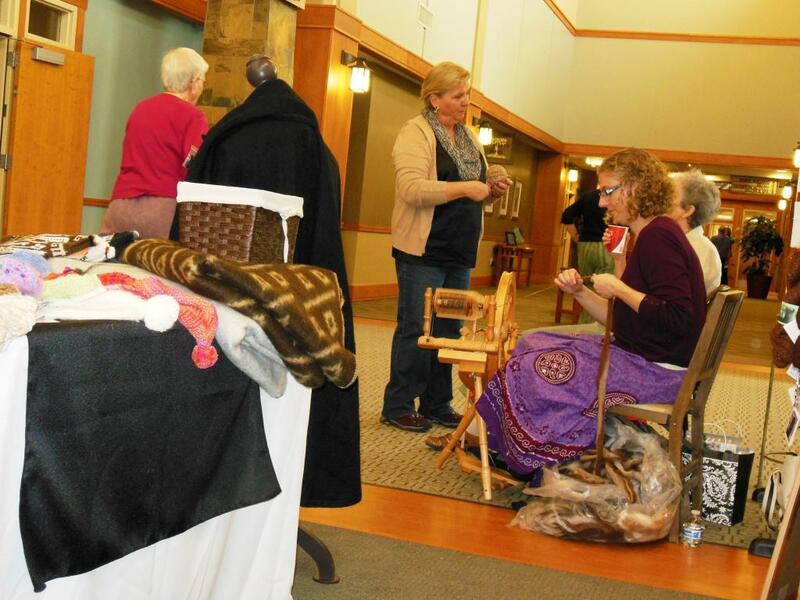 This entry was posted in Fashion and tagged alpaca, Christmas and holiday season, craft show, crafts, holiday bazaar, Holly Creek Retirement Community, spinning. Bookmark the permalink. It’s nice to have a bit of space like that, we were able to spread out a bit. It was so fun! And super easy to set up, given that we had so much space. Man. 10 by 10 is going to feel even smaller next time.